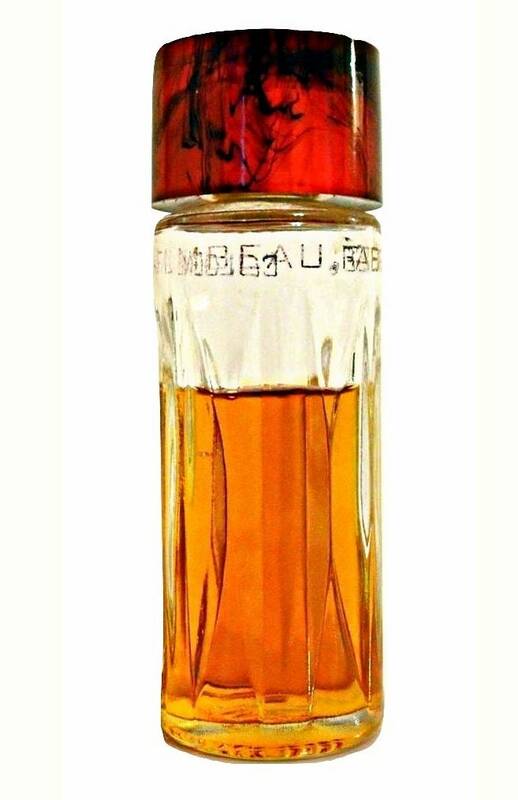 Vintage Perfume 1950s Flambeau by Faberge 2 oz Cologne Splash. The bottle is about 70% full. The perfume is old and not as fresh as it once was, but I just tested it and the perfume still smells wearable (sweet, spicy, powdery). 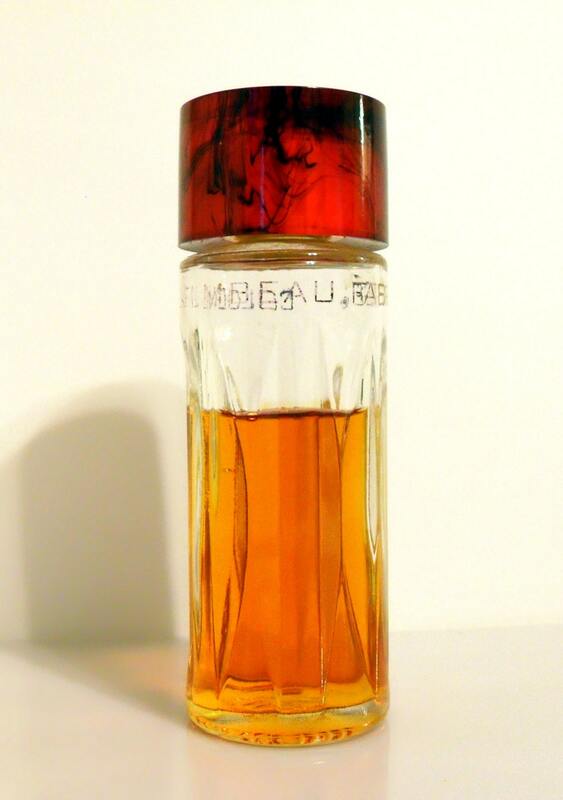 The bottle is topped by a translucent red Bakelite/Catalin (reminds me of root beer or tortoiseshell prystal but more red)screw cap with black marbling inside that looks like wisps of smoke to me. I held the cap under hot water and can smell the distinctive Bakelite formaldehyde scent. Flambeau was launched in 1955. 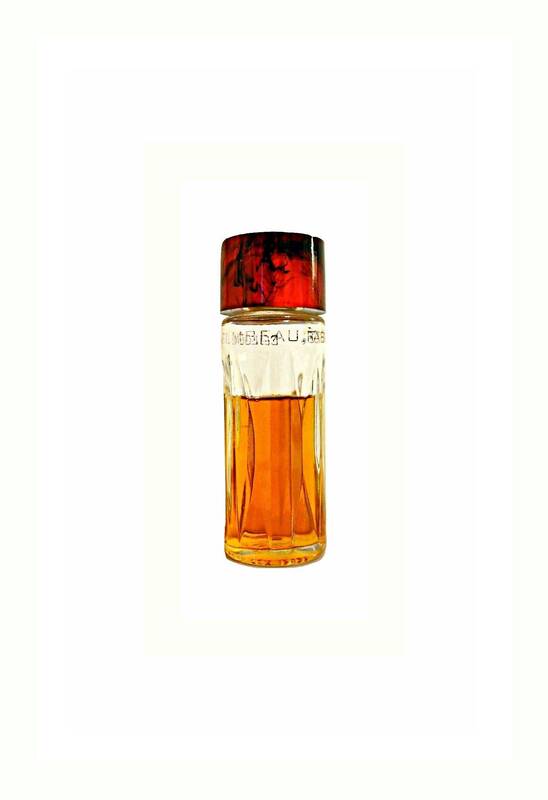 It is classified as a floral chypre with oriental notes. Discontinued, date unknown. Still being sold in 1977.